Need a house insurance? 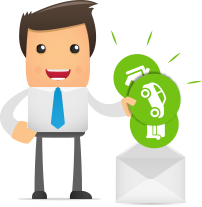 Get 3 FREE offers - without any obligations! Why pay more than you have to? Get up to 3 quotes on your house insurance today and see how much money you can save. Buying a house is most likely the largest investment you will make your entire life. House insurances are often quite expensive, but so are the repairs of damages on your house. That’s why it’s a good idea to take on a house insurance and save a lot of money by comparing several offers. 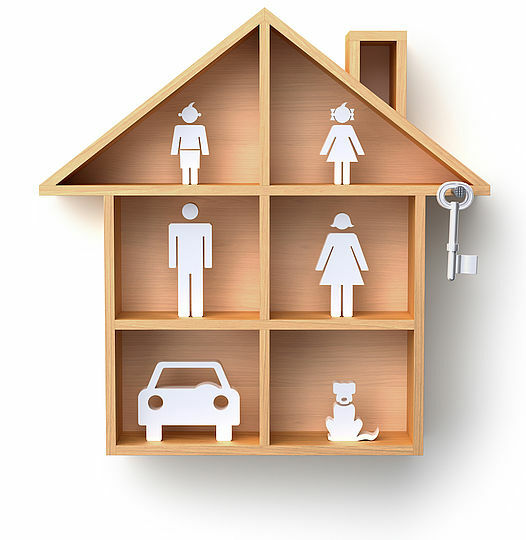 What does a house insurance cover? Different insurance companies have different insurances, and the same goes when you want your house insured. It’s important to remember that, when you are weighing your options. Make sure that the insurance company considers your specific needs. Be aware, that if you wish to take out a second mortgage, certain banks will insist that you also take out a house insurance. But whether or not the bank insists, it might still be a good idea, since your house is probably the largest investment you’ll ever make. Basic coverage ordinarily includes damages caused by fire, while most of the remaining insurance options might fall under their extended policies. Read below, what is typically included in the basic coverage of your house insurance. The fire insurance covers your house in the event of a fire. This applies to electric installations and other appliances like refrigerators, dishwashers and ovens. This type of insurance covers glass and sanitary appliances like toilettes, windows, ceramic hotplates, doors to shower cubicles, sinks, bathtubs and mirrors, etc. This covers freezing of the internal and external piping of your house. It also covers if your roof subdues to large amounts of snow, causing your roof to collapse. Sudden damages are damages that occur suddenly. That means that is has to be an unexpected and unpredictable damage, like if a tree falls onto your roof during a storm. If you experience a distressing incident like a traffic accident, life threatening disease or a larger fire, this insurance covers. This covers in case of theft or burglary and vandalism. These types of damages should also be reported to the police. In the event that your house becomes uninhabitable due to damages covered by your insurance, the insurance company will subsidize a temporary re-housing until your house becomes inhabitable again. This covers damages on your house due to stormy weather or cloudbursts. Note that your inventory is covered by your homeowner’s insurance. The home owner liability covers unfortunate accidents where you are legally responsible, both inside and outside of your house. For example if a person falls and injures himself outside your house due to the lack snow removal. In some cases, your insurance company covers your legal fees if you need a lawyer for disagreements related to the purchase of your house, re-modelling etc. The terms and conditions are for most insurance companies more or less the same, but the maximum level of coverage might vary from company to company. A string of extended coverages will with some of the insurance companies be an integrated part of the basic coverages, but with others they might be extended coverages. The fewer extensions you choose, the lower the price, but be aware that you get your needs covered and not focus to much on acquiring a cheaper insurance. Rot speeds up the decaying process of wood. Insuring yourself against rot, keeps you covered, should you be so unfortunate as to get that. This covers damages caused by animals, such as rodents or martens. For example if a rat gnaws on your electrical panels. Note that this usually does not extend to mold, as it is a type of non-destructive infestation. This extension covers damages of hidden pipes containing water, heat, gas and oil, as well as damages on exterior drain pipes. This covers cosmetic differences on tile, as well as glass and sanitation in your bathroom. Extended water damages are usually covered if they are caused by 1) water penetrating through your doors and windows at all kinds of rain. 2) Ascending sewage water from your toilet or the drain in your basement. As a result of the increasing number of storms and cloudbursts, the prices of house insurance have gone remarkably up, the last couple of years. This means that it has a become a bit more intricate to take on insurance for your house because the insurance companies are keen to inspect the houses before committing to a binding offer. The homeowner’s insurance covers the “insides” of your house, such as your television, computer, furniture and clothes. A general rule of thumb, is that if you turn your house upside down, everything that falls, will be covered by the homeowner’s insurance, whereas the itself is covered by the house insurance. If you have only purchased a house insurance, it will not cover your personal affects, i.e. your furniture, appliances or clothes in case of a fire. Only the damages inflicted upon the house itself. If you have a car in your garage, fire damages will not be covered by your house insurance. For that, you need a comprehensive car insurance. 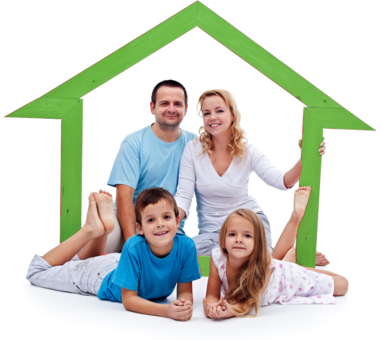 Recieve 3 free quotes on your house insurance and find the best and cheapest insurance.